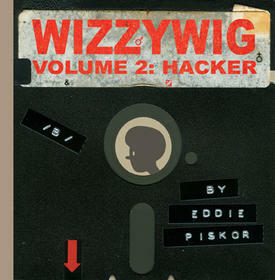 The first two volumes of Wizzywig, Ed Piskor’s wonderful graphic memoir of the early days of the BBS/hacking/phreaking scene, have been posted online. Mark and I both reviewed Ed’s comics last year, and we both really enjoyed them — great to have them online now, and Ed tells me there’s a third volume in the mail to me. I’ll post a review here once I get a chance to read it. Wizzywig is the story of Kevin “Boingthump” Phenicle, a fictional hacker who’s part Mitnick, part Poulsen, and part mythological. Boingthump is a preternaturally bright, badly socialized kid who discovers a facility for technology that’s egged on by his only pal, “Winston Smith,” a would-be Abbie Hoffman who is obsessed with the potential to use Boingthump’s discoveries to monkeywrench the machine.But soon enough, their roles are reversed, as Kevin’s relentless pursuit of knowledge and power scares Winston so much that he tries (without success) to put the brakes on Boingthump’s crazy ride through the phone system and the nascent Internet. The story blends fiction and fact, dropping in a Blue Box-selling Jobs and Wozniak (Boingthump picks the trunk-lock on their car and steals a Blue Box) and Cap’n Crunch, along with plenty of fictional BBS scenesters and grumpy computer-store owners. The backgrounds are filled with nostalgia PCs — Atari 400s, Apple ///s — and old Bellcore manuals. The illustration and storytelling style reminds me a lot of Harvey Pekar (with whom he’s collaborated on American Splendor), jumping backwards and forwards in time, switching points of view, going inside and outside of the characters’ heads. 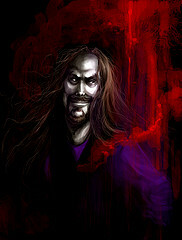 The first two volumes are PHREAK and HACKER, with two more (FUGITIVE and INMATE) planned. Piskor prints and sells the comics himself (the books are quite handsome) and he’s got extensive free previews online. At $15 each, with all the money going straight into the creator’s pocket, what’s not to like?